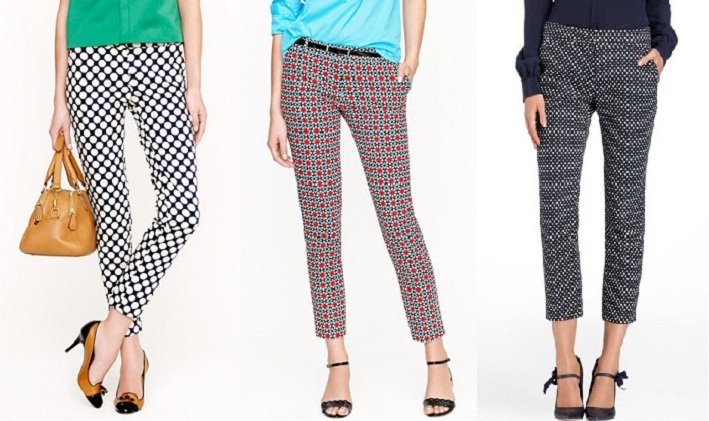 love the jcrew polkadot ones! So amazing colors and lovely style. love all of them . They're beautiful but I'm not sure if I would look good wearing them :) I guess it depends on the print. Awesome trousers! I love them! i just bought polka dot pants! i'm excited to wear them!! !